Sometimes you have to let life turn you upside down, so you can learn how to live, right side up. This little wall cabinet was found at a local thrift store and it needed some attention. It wasn’t in bad shape, dirty and a little scratched, but I knew I could find a use for it. I brought it in the house and laid it on its top to start cleaning it. As I walked back to the table with cleaning supplies, I realized exactly where it was going to be used, and decided it will be upside down rather than hung on a wall. After cleaning the cabinet well, I took out the drawers and took off the doors and dowel, then painted the small drawers with charcoal gray chalk paint, and painted the rest of the cabinet with white chalk paint. I massaged clear wax onto the painted cabinet after the paint dried. It was reassembled (I wanted to turn the doors upside down but the hinges were not symmetrical so I couldn’t) and put the drawers in upside down. 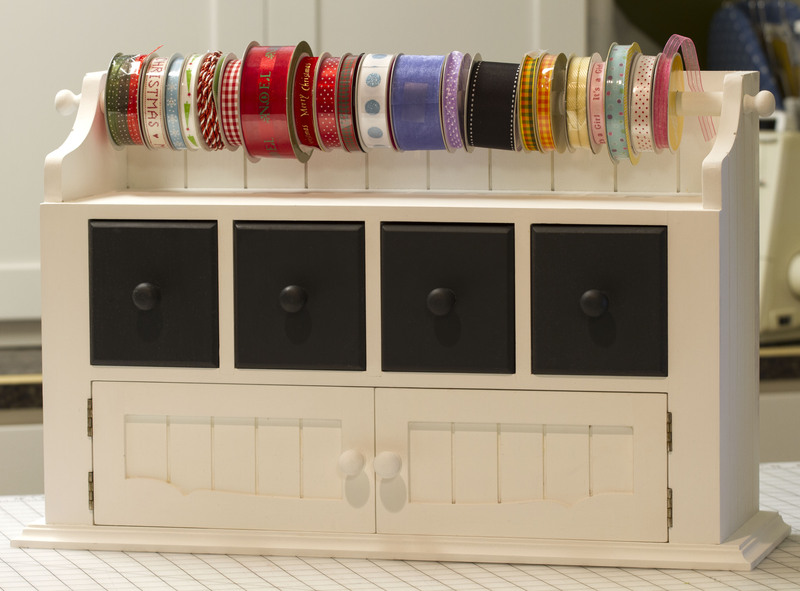 The dowel is perfect for ribbon spools and the cabinet organizes sewing supplies. Maybe I should stand on my head next time I want to re-purpose something, just to see if it would work better upside down. 01 Mar	This entry was published on March 1, 2014 at 6:29 pm. It’s filed under DIY, Re-purpose, Re-purpose Gallery and tagged chalk paint, drawers, re-purpose, sewing room organizing, storage, up-cycle, wall cabinet. Bookmark the permalink. Follow any comments here with the RSS feed for this post. Oh I need one of these! 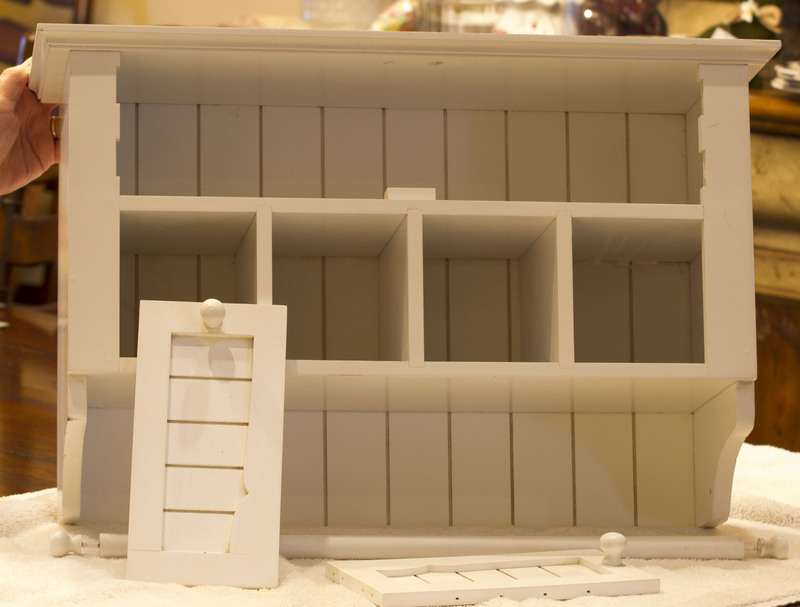 I am always looking for small cabinets that I can organize things in.